Project Home offers free monthly home maintenance classes taught by Project Home staff and other local, skilled professionals. Advance registration is required. Most classes are from 6:30pm to 8pm at 1966 South Stoughton Road. For more info on classes and to register, visit projecthomewi.org. 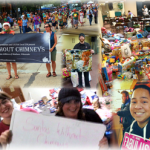 Santas Without Chimneys, or SWC, needs volunteers and donations to help provide holiday warmth to homeless children. SWC is an independent, volunteer, non-­faith-­based holiday donation drive for homeless children in the Madison Metropolitan School District. SWC collects wish lists from children and volunteers customize gifts to match each child’s wishes. 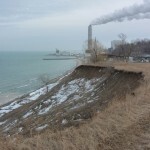 For more info, visit santaswithoutchimneys.org.